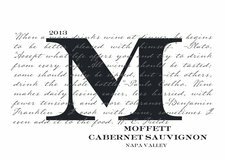 The 2013 Moffett Vineyards Cabernet is a blend from my Howell Mountain Vineyard and a St. Helena Vineyard that I have contracted with since 2005. This wine has big dark fruit structure with layers of oak and spice. The tannins a strong, but balanced with the fruit. I believe this vintage across the board will age extremely well.